Share the post "Basenji Dog Training 101: Train Your Basenji To Listen To You"
Basenji dog training is a necessity for one of the most ancient dog breeds. Basenji can be seen on steles in the tombs of Egyptian pharaohs. They are considered “Barkless” dogs from Africa. Short coat, small, muscular body, alert demeanor, erect ears, and tail curled tightly over one hip. A wrinkled brow gives him a quizzical and sometimes mischievous expression. The Basenji is highly intelligent, but he has a stubborn streak a mile wide. The phrase “willing to please,” used to describe so many breeds, is foreign to the Basenji, so Basenji dog training is a must for this dog. While the Basenji is quite capable of learning training commands quickly, whether he actually performs them is another story. He may think first and then obey, or he may decide there’s really no good reason to do as you ask. Rather, Basenjis use their intelligence to demand your attention and get you to provide whatever it is they need or want. Please see my article on “How to Get Your Dog To Sit” for step by step instructions on how to get your Basenji to sit in 5 easy steps. 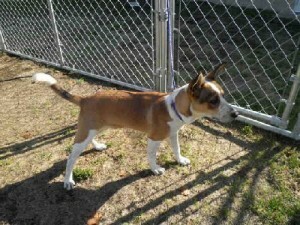 Next, training a Basenji will most certainly involve crate training as this dog is an escape artist! Don’t leave your Basenji alone in your backyard as he loves to explore the unknown. Underground electronic fences won’t stop a Basenji who sees or smells something interesting. He considers the jolt from the collar a minor inconvenience. Your Basenji dog training will definitely entail chewing sessions. The Basenji will chew anything in site. So if you leave your $200 pair of running sneakers sprawled on the floor, you can kiss it goodbye! Fortunately, this dog doesn’t bark – which is great for you. 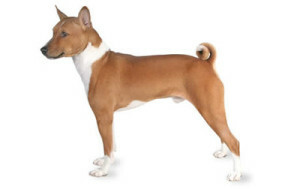 The Basenji is a hunting dog. He loves to hunt and chase. So the best game for this breed is hide and seek. Take him to the park (make sure he has good recall) and let him hunt squirrels, rodents, and the like. Just make sure you’re in an area where the park is enclosed. Basenji dog training is easy with this breed when you have the right dog training tools. That means having the right books and videos that take you step by step. One such comprehensive package is Dog Training Mastery Multimedia Package by Kingdom of Pets. 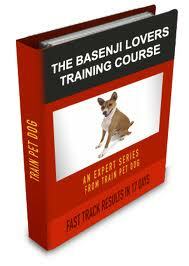 I highly recommend this package to make basenji dog training a breeze.